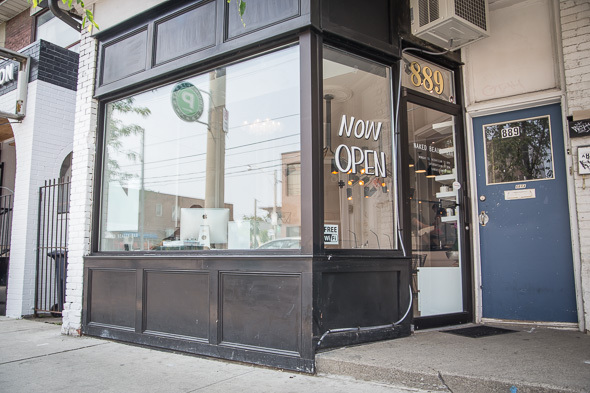 Naked Beauty Bar adds to Toronto's unlimited supply of beauty salons - this one on a fairly unsaturated area of Dundas West. 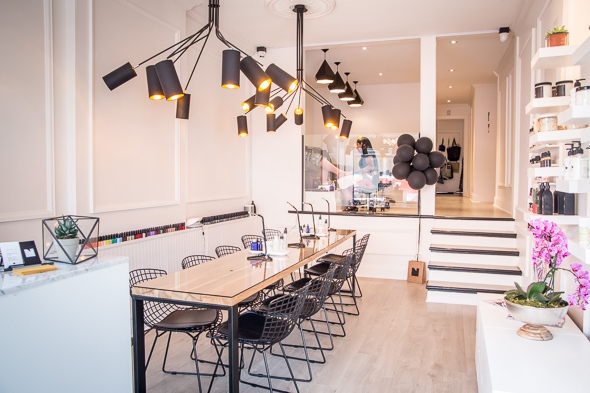 Tucked in between longtime favourite hair salon, Barberella , Trinity Bellwoods and Rhum Corner , Naked Beauty Bar is a relatively small salon that offers four main services: manicure, pedicure, waxing and eyelash extension. 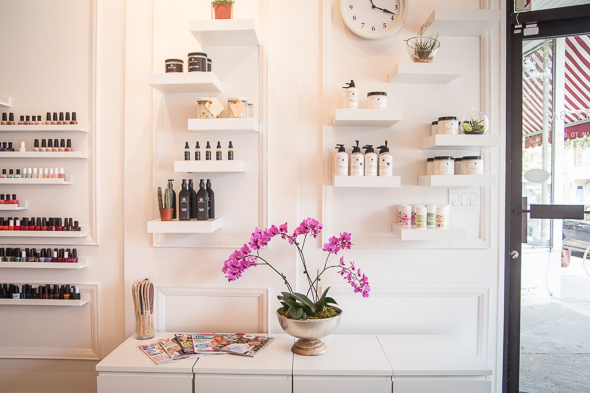 Owned by sisters Julia and Gabrielle Bautista, the salon has made good use of their space. As you enter, there's a long polished wooden table which serves as the manicure station, where five manicures can happen at a time. The aesthetic is black and white monochrome with a more natural, earthy vibe. Another room contains four pedicure chairs, and a back room for waxing and eyelash extensions. 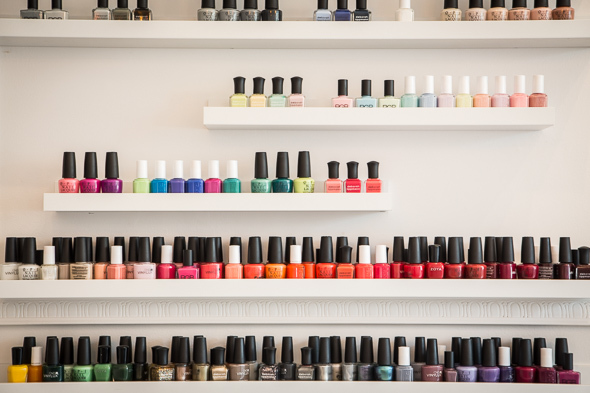 "My sister and I are pretty seasoned when it comes to getting our nails done," says Julia. "We just found there was always something missing. Something left unsatisfied and could be done better at a nail salon. You go to a low end shop with really bad quality of work, or go somewhere where you pay an arm-and-a-leg but with amazing service." Says Julia. Naked Beauty aims to bridge that gap by offering great, fun service with trained aestheticians and services that are reasonably priced. 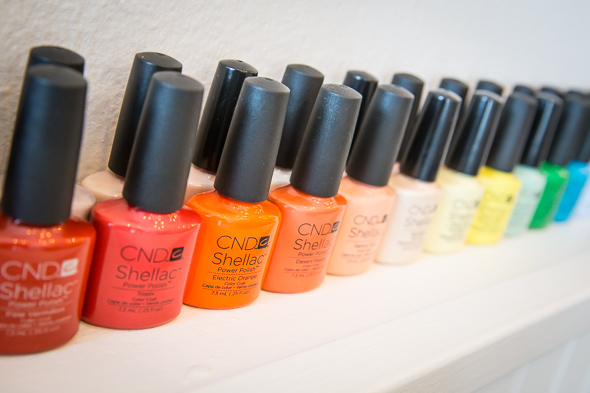 A regular manicure-pedicure combo is $50 and shellac nails and a regular pedicure is $65. "The culture is very important to use," says Julia. "And it's very important to us, that people get a great vibe when they walk in. We've curated some really great and creative people to be on our team." The team consists of five members and growing. There's a wide range of nail colours available, and one of the most eye-catching collection of colours I've seen. I couldn't be pulled away from the gorgeous pastels offered by Essie's summer collection, and the subtle glitters from Deborah Lippmann's. Gabrielle picked the layout and colours for the collection, opting for O.P.I, Deborah Lippmann, Essie, RGB and Zoya. Naked Beauty Bar uses all-natural products. 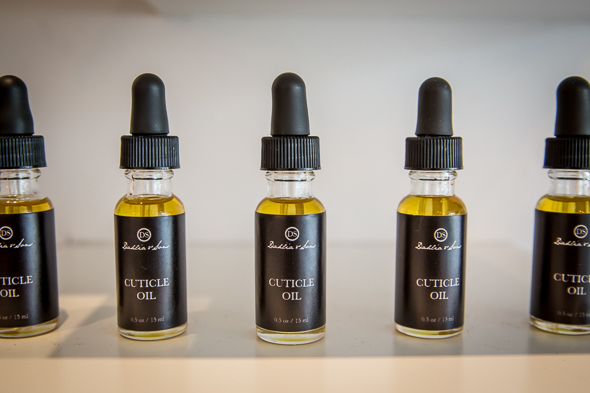 They have teamed up with Toronto-based The Cure Apothecary to offer natural cuticle cream, scrubs and moisturizers. 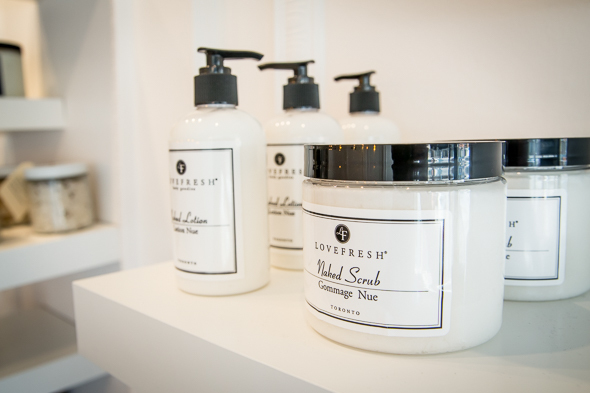 They sell LoveFresh scrubs, deodorant and body whip moisturizer for hands and feet, and use polishes that are free of harsh chemicals, like RGB and Zoya. The Naked Treatment uses a soy-based nail polish remover, all-natural scrub and cream and is finished with a chemical-free nail polish. Naked Beauty Bar has trained aestheticians who can do regular nails ($25) or Shellac ($35 for hands, $50 for feet) and very cool, creative nail art ($5-10). Walk-ins are welcome or you can book a service online.